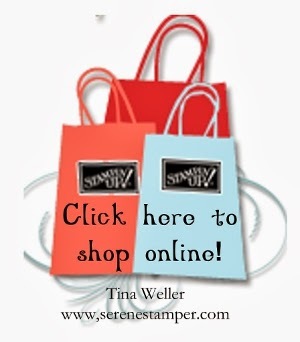 The Serene Stamper: Cyber Monday Deals Today Only! Cyber Monday Deals Today Only! 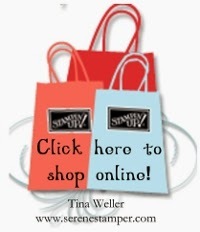 for the Holiday Sale too! Wow, Tina! 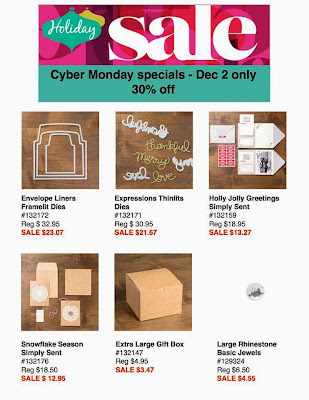 That's a great line-up of examples of what to do with what's on sale. Thanks for the inspiration! Hi Glenda! Thanks for your comment! I'm so glad you enjoyed all the inspiration ~ products are nice in the catalogue and flyers, but to see what you can actually CREATE with them is always so much better, I think. Happy Stamping!